Home Crepe Blog Make Your Next Event a Big Hit with Gelato Catering! Make Your Next Event a Big Hit with Gelato Catering! Hosting a party is always fun and exciting. 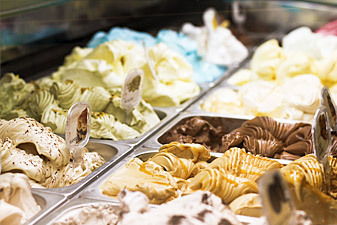 If you are looking to add something more to the event than your standard food and drinks, consider a gelato bar! If you are not so sure about doing it all yourself, you can hire professionals such as Crepe Delicious who provide catering services in Toronto and surrounding areas. Whether it is a wedding, anniversary, birthday, an office party, or any other occasion for celebration, people love to have gelato desserts, and you can make use of the catering service to have a gelato bar. This is the fun part of hosting an event with a gelato bar. Depending on the number of guests you are planning to invite for the party, choose the different flavours and how many of them you’d like to have. Make sure that you taste and approve them to avoid any confusions on the day of the party. While you are at it, also consider the vegan options if any of your guests require them. At Crepe Delicious, we have 24 varieties of flavours such as vanilla, dark chocolate, salted caramel, tiramisu, banana, mango, lemon, watermelon, and more. Our wide selection also includes 10 fruit varieties to appeal to people with varied tastes and preferences. 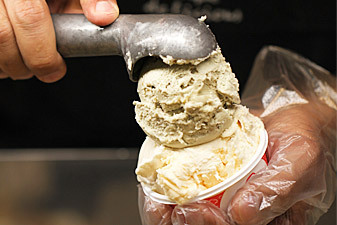 After deciding on the flavours, think about whether you’d want gelatos to be served in cups, cones, or a mixture of both. In addition to this, decide on the size of the scoops and cone servings. Decide on the date of the party and make sure to schedule it with your caterer well in advance to avoid any last-minute cancellations and problems. Be sure to ask them if they’ll bring all the necessary equipment and materials, or if you will have to take responsibility for anything. When all of this is accomplished, all you need to do is sit back and enjoy the party which is sure to be a big hit among children and adults alike! Crepe Delicious is the answer to all your catering needs! We are on board with catering for all kinds of occasions including birthday parties, sports events, and family gatherings. If you’re not sure what you want, contact us now, and we will help you throw a great party by treating your guests to the ultimate gelato experience with our catering services today!